Some careers barely last four years, let alone 40 book-ended with Classic victories - but that was the remarkable story at the Curragh as the strong-travelling colt made it a second Irish Guineas for octogenarian Prendergast after Northern Treasure in 1976. Chris Hayes was always sitting pretty on the Sheikh Hamdan Al Maktoum-owned son of Cape Cross and kicked for home about two furlongs out. The 9-2 winner galloped all the way to the line to beat Qipco 2000 Guineas hero Galileo Gold - who had to show plenty of determination for Frankie Dettori when seeking a gap on the rail - by two and a half lengths, with Blue De Vega third. Coral slashed Awtaad to 16-1 (from 50-1) for the Investec Derby, with RaceBets going 7-2 about the St James's Palace Stakes at Royal Ascot. 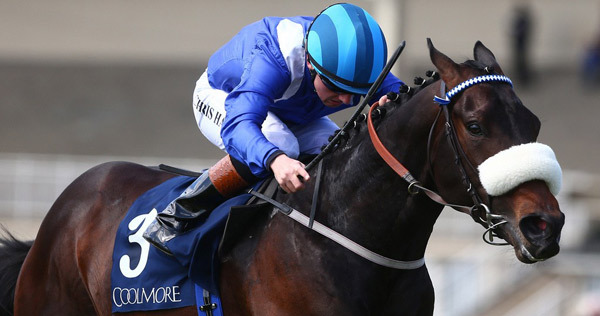 Prendergast said: "That was great and I'd like to thank Sheikh Hamdan for having faith in me for a long time. "He was very backward as a two-year-old, and I'd say he's as good a horse as I've had. We have a dry place at home and he worked well there, but he had won on soft so we accepted it. "I think he's a very good horse, but how far he will go I don't know. He was forced to go a bit early today as Frankie was in a bit of bother on the inside, so he kicked and hoped for the best. "I don't know where he will go next. The boss man (Sheikh Hamdan) makes the decision and we go along with it. The last one (Irish 2,000 Guineas) was 40 years ago, and a lot of lads weren't born then! "He's in the Derby and the Irish Derby, so we'll see what he wants to do. There is a good bit of stamina in the family, so who knows?" Hayes said: "He just excites you so much. Even from his maiden run, everything about him is special, even going in to ride him in the mornings is exciting.
" He's the closest thing you'll find to driving a car inside in a race. He's a gent of a horse, he switched off lovely and it means the world to me to be able to ride a Classic winner for the boss. "It's unbelievable. I didn't sleep for a week. He's been flying and we've always held him in high regard. "Mr Prendergast gave me no instructions, except don't get there too soon, which I did! I had no option. I saw Frankie was in a bit of bother. "I just wanted to make it as hard as I could for him, but it wouldn't have made any difference. I'd have loved to have a lead a bit longer. "I'd love to go to Royal Ascot with him but I'll leave all that up to the boss." He added: "He's the best horse I've ever ridden. "This means a lot to me and Mr Prendergast has been so good to me."